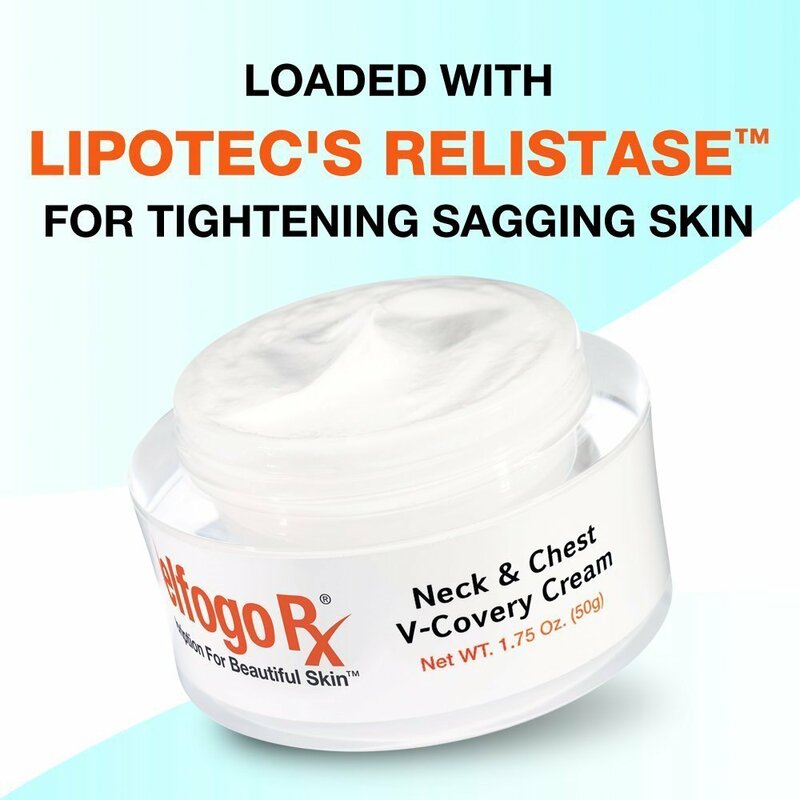 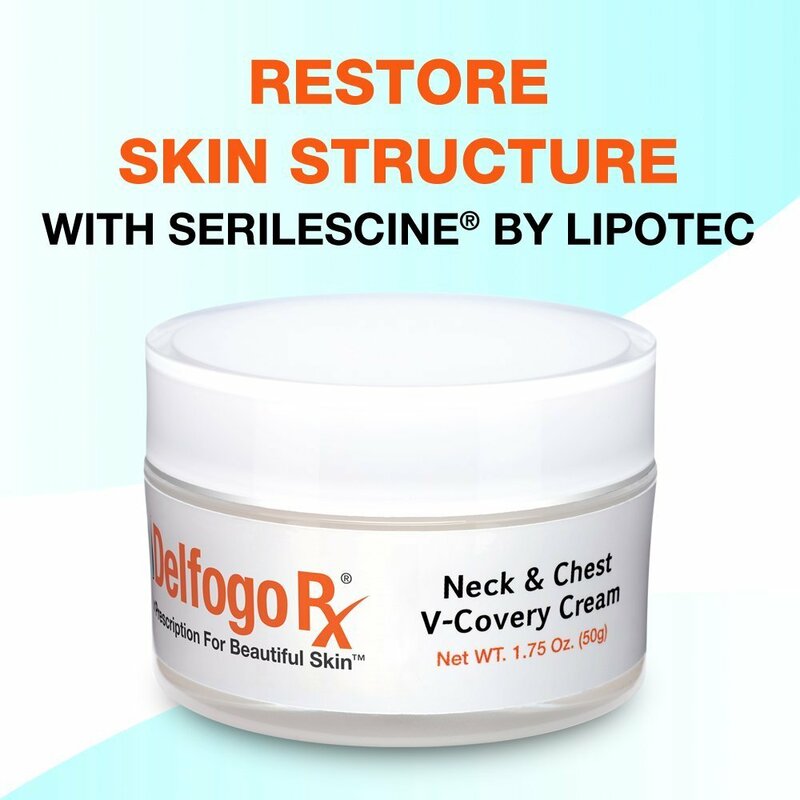 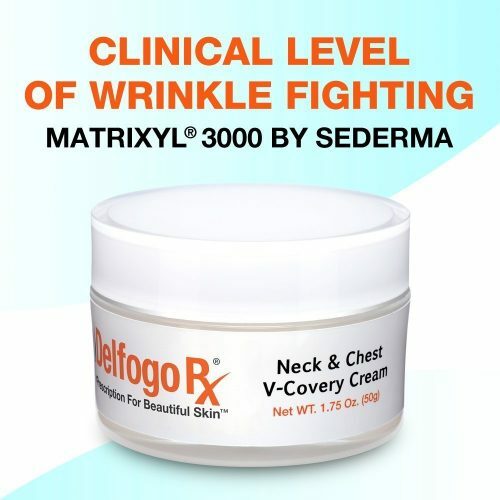 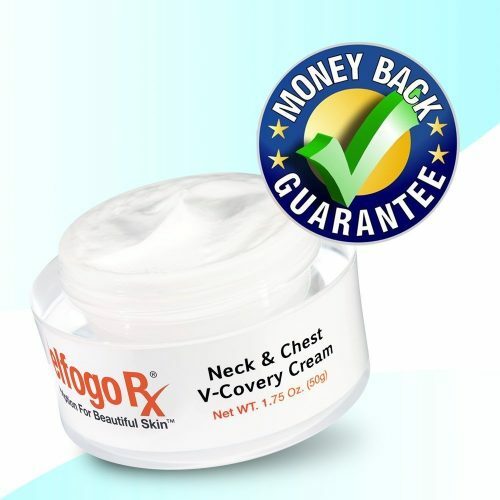 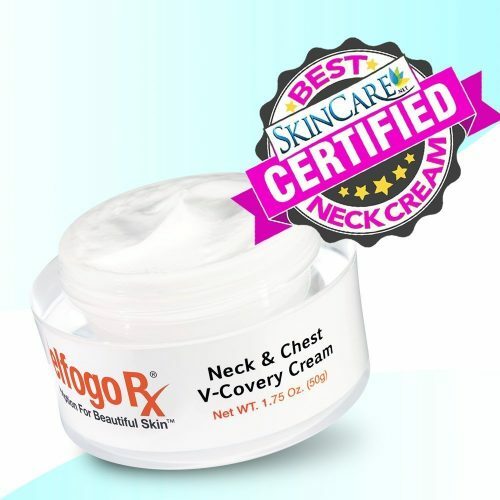 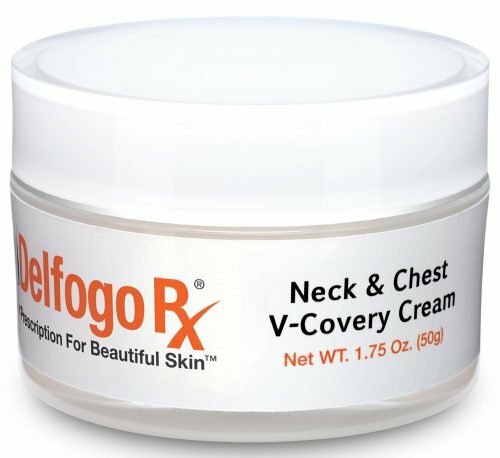 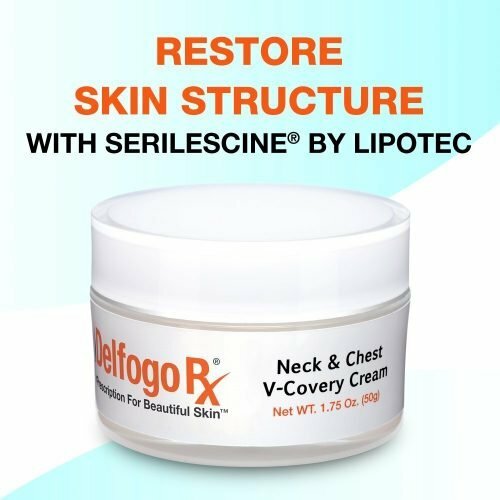 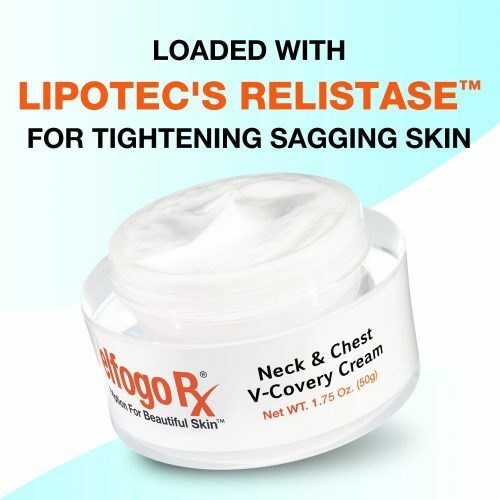 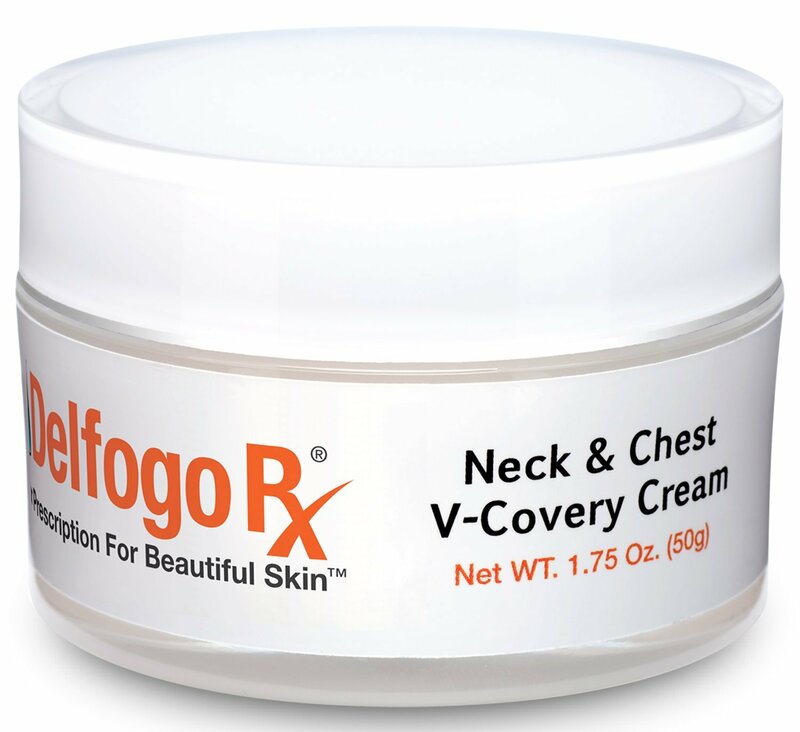 The dreaded “turkey gobbler” neck is everyone’s nightmare as your skin begins to age, but you can wave goodbye to that saggy, wrinkled skin with the Delfogo Rx Neck & Chest V-Covery Cream. 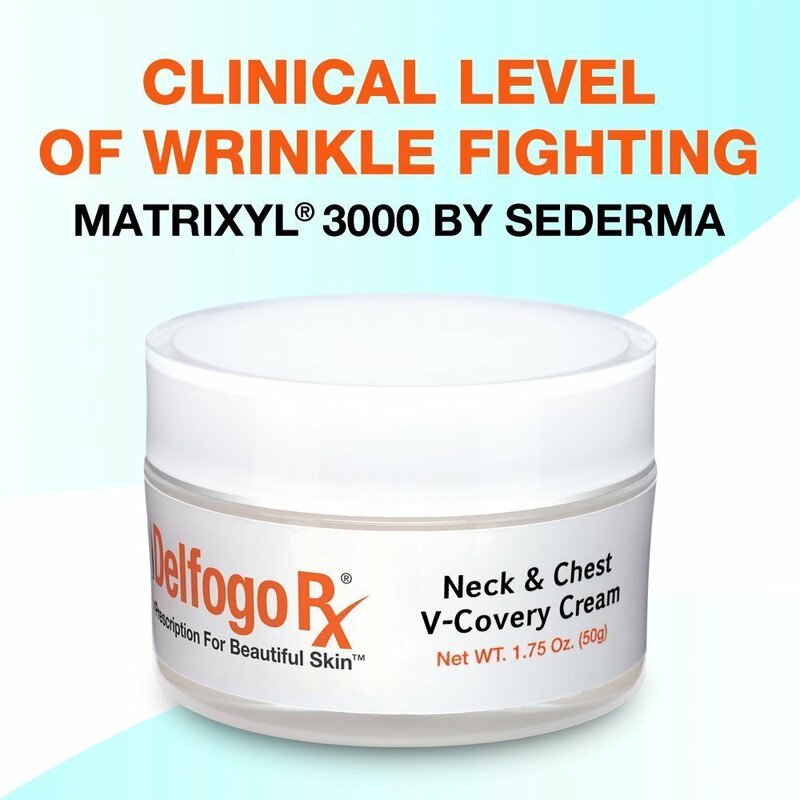 Specifically formulated to target the signs of aging in the skin below the jawline, this proprietary blend is fortified with powerful peptides to bring back a more youthful appearance without the need of risky or expensive surgery. 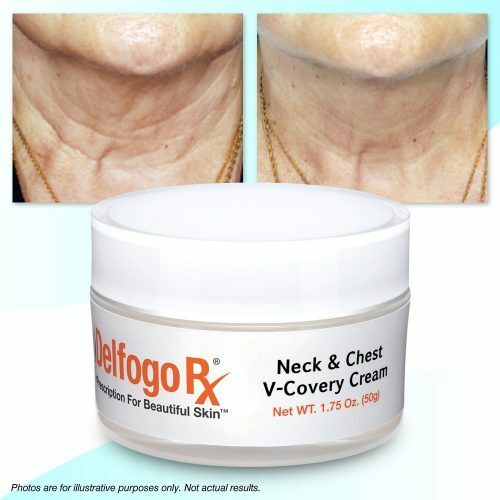 Apply liberal amounts to neck and décolleté twice daily.